Our sweet niece, Charli, at 12 weeks old! Doesn’t she melt your heart!?!? jessica — she is ABSOLUTELY precious. 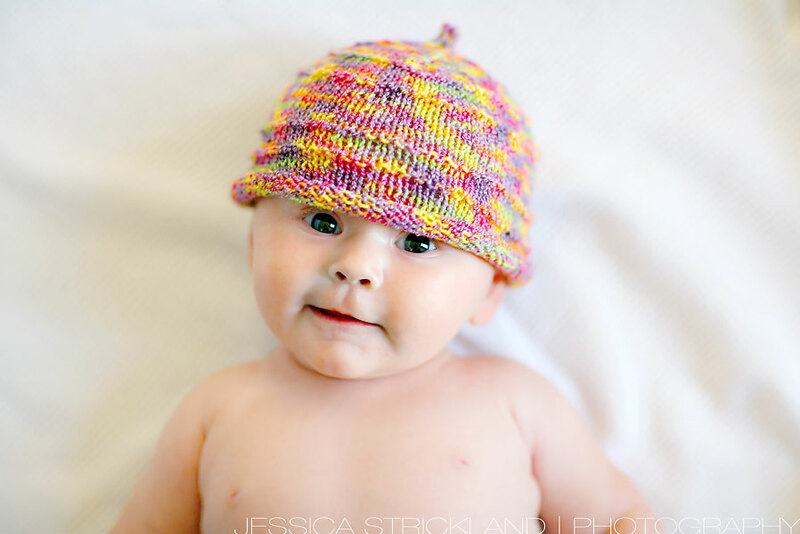 just keeps getting cuter & cuter — as if that is even humanly possible! SOOOO freakin’ cute!!!! Great shots Sweetie!!!! She’s just so beautiful and so lucky to have such an awesome photographer aunt! 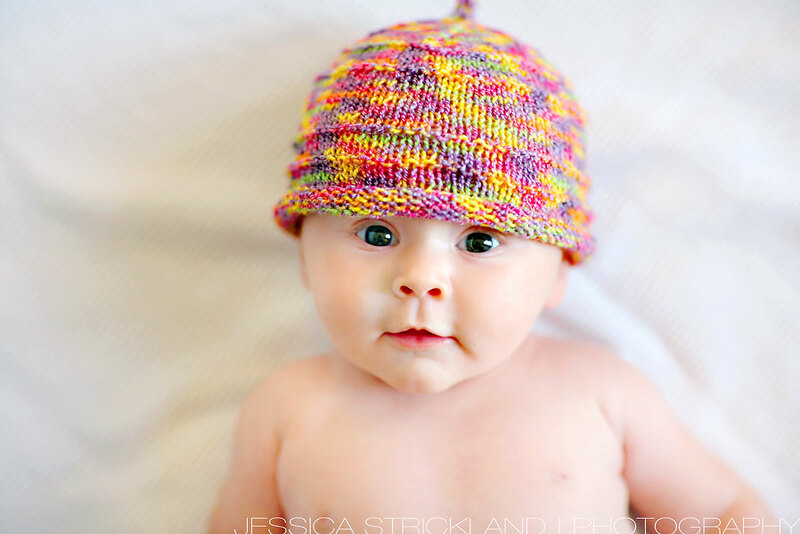 I just love the hat she’s wearing! Its almost as cute as she is! If this gorgeous little chicken doesnt make a woman clucky, nothing will! She is so so cute!! Congrats!! Opps!! I meant Jessica’s sister Jenny, congrats!! I think you were in my prenatal class at Clarian North! 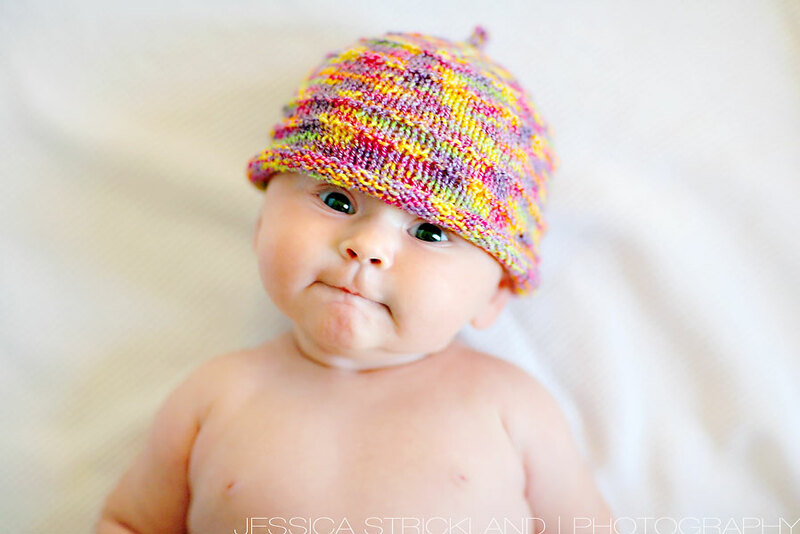 love the little beanie! She has so much personality in her facial expressions- precious! Fantastic pictures! Charli is sure coming into her own. Jenny and Chris had better watch out! She’s beautiful. On that last photo, I want to eat those cheeks! so cute!! Give her a big squeeze from Auntie Mel. Glad I’m not her mom, I don’t know that I could ever say NO to that face! SO STINKIN CUTE! !